By Joshua Benton @jbenton May 14, 2018, 11:37 a.m.
All this economic theory is preamble to this: The U.S. Supreme Court struck down a federal law banning sports gambling this morning. The 1992 law had made Nevada the only state where you could bet on an individual football, basketball, baseball, or hockey game; the court declared that unconstitutional limitation of state power. (The five conservative justices were in the majority, as were the liberal Elena Kagan and, on part of the opinion, Stephen Breyer.) 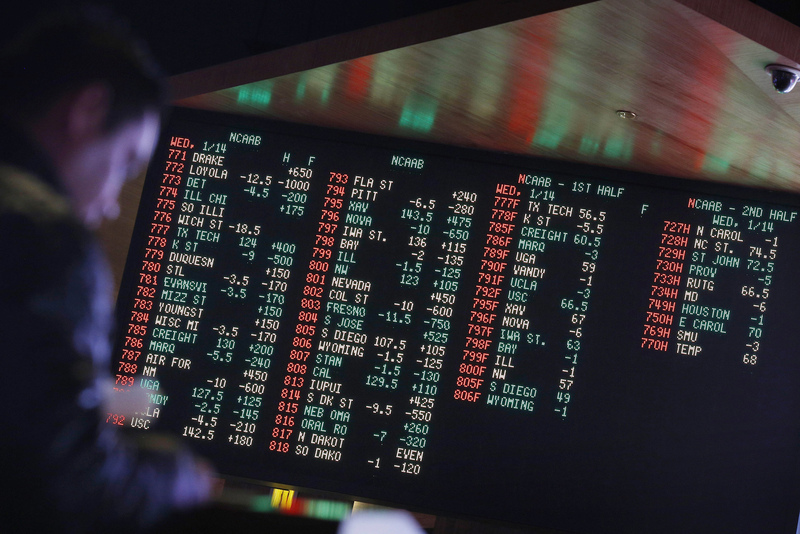 The ruling does not make sports gambling immediately legal everywhere (just in New Jersey), but it allows states to do so; a study last fall predicted that 32 states would do so if given the opportunity. The vast majority of sports fans have proven unwilling to pay for information about their favorite teams. At least for the major pro sports, there’s just too much free information out there — much of it produced by the leagues themselves — for a paid product to demand more than a niche audience. Lots of local papers have tried paid “Team Insider” products that offer extra coverage on their local pro teams, but for the most part, they haven’t been outsized successes. There’s a bit more of a market at the college level, where loyalties are more tribal and detailed recruiting information can justify an upsell. But it hasn’t been a business that blows anyone away. What have been relative successes? Fantasy sites, both those that offer league infrastructure and those that promise inside dirt that will let you play Blake Bortles when the matchup is sneaky favorable or sit Alvin Kamara when you feel like making a bad decision. ESPN’s Insider offering is a mishmash of content, but one of its primary pitches is “best-in-class Fantasy tools” and info that will let you “get the edge in your Fantasy league.” Most fantasy leagues aren’t big-money endeavors, but players really want to win — and people are willing to pay for things that help them win. Benton, Joshua. "Congratulations, sports media: You just got a big business-model subsidy from the Supreme Court." Nieman Journalism Lab. Nieman Foundation for Journalism at Harvard, 14 May. 2018. Web. 25 Apr. 2019. Benton, Joshua. "Congratulations, sports media: You just got a big business-model subsidy from the Supreme Court." Nieman Journalism Lab. Last modified May 14, 2018. Accessed April 25, 2019. https://www.niemanlab.org/2018/05/congratulations-sports-media-you-just-got-a-big-business-model-subsidy-from-the-supreme-court/.